Nevertheless, the exhibition offers rewarding discoveries and re-discoveries: rather than inviting the usual suspects, Macel has selected a wide range of artists from different generations and nationalities. 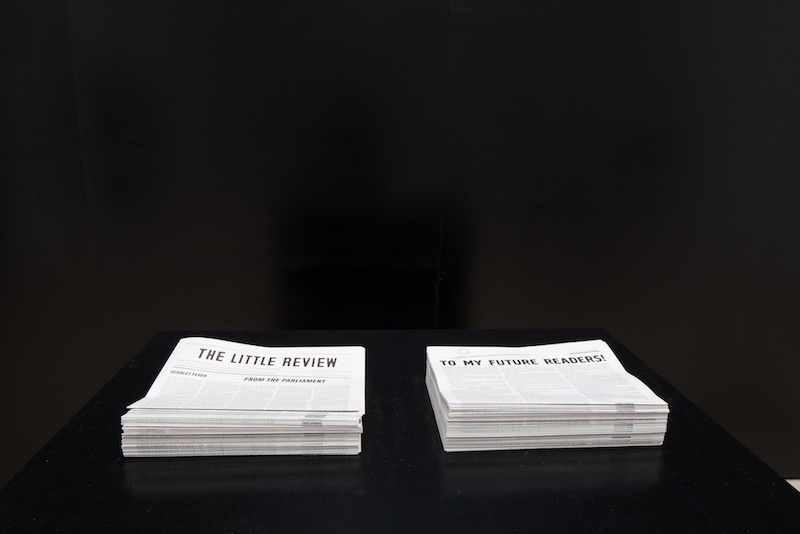 In the central pavilion, Hajra Waheed’s Sea Change (2011 – ongoing) narrates the story of nine migrants that go missing on their journey across the ocean. 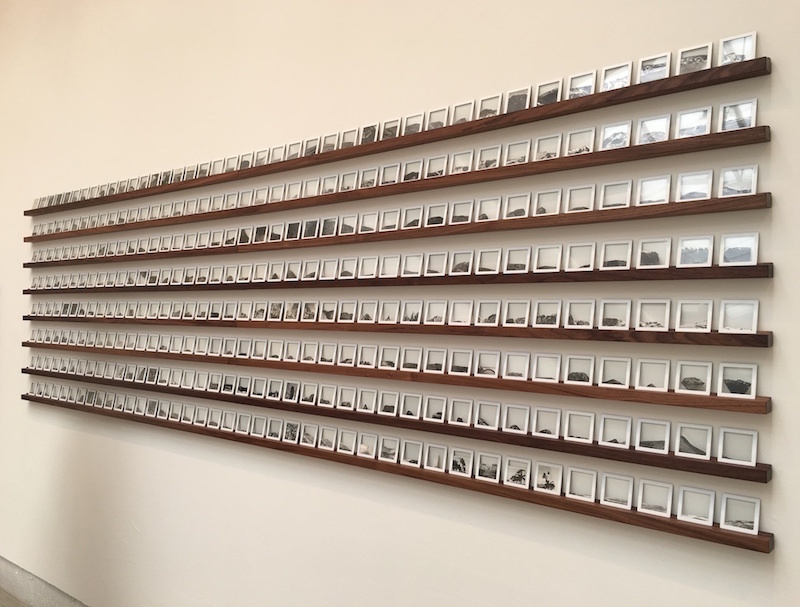 Portrayed through hundreds of miniature paintings of an empty, roaring sea, Waheed creates an intimate and touching depiction of absence and loss. In the Arsenale, Argentinean artist Martin Cordiano investigates our relationship to space and volume. 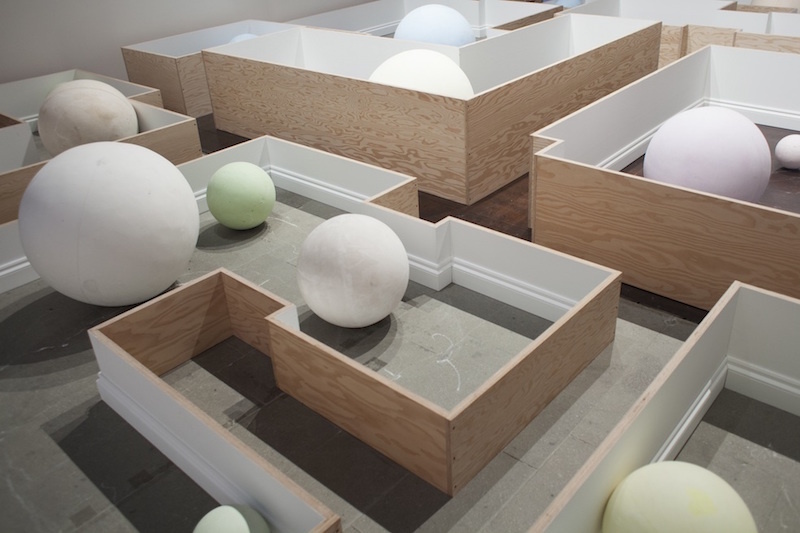 Common Places (2015) consists of six rooms without ceilings, where balls of chalk in different colors and sizes have been carefully placed, simultaneously locked in by and bursting through the enclosed spaces. I enjoyed seeing Heidi Bucher’s works in the Arsenale. 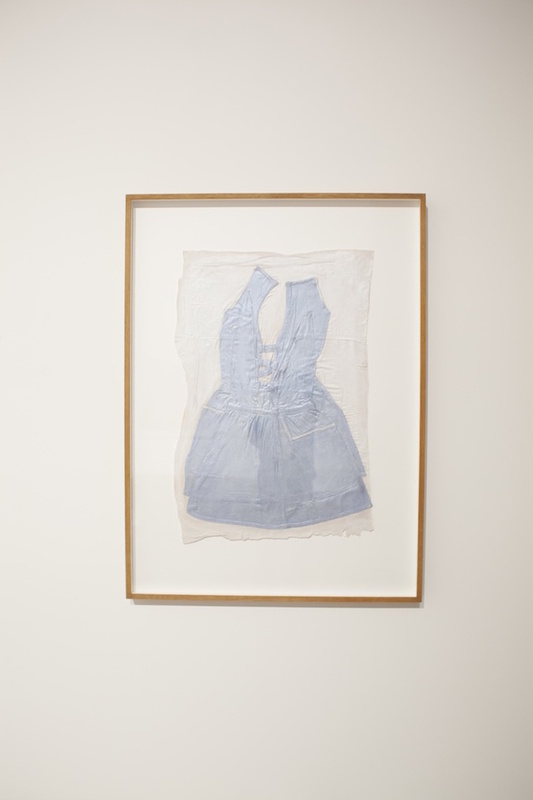 Bucher, born in Switzerland in 1926, used everyday objects and materials to investigate the relationship of the human - and especially the female body - to its surroundings. Macel presents a selection of seven garments preserved with an emulsion of natural white rubber. Strong women also dominate the national pavilions in the Giardini. The Romanian pavilion, set up as a miniature retrospective, honors the work of Geta Brătescu, a Grand Dame of conceptual art. American artist Sharon Lockhart represents Poland with a photography series and a film investigating the work of Janusz Korczak, a Polish-Jewish pedagogue who initiated an early 20th century newspaper created by children for children. 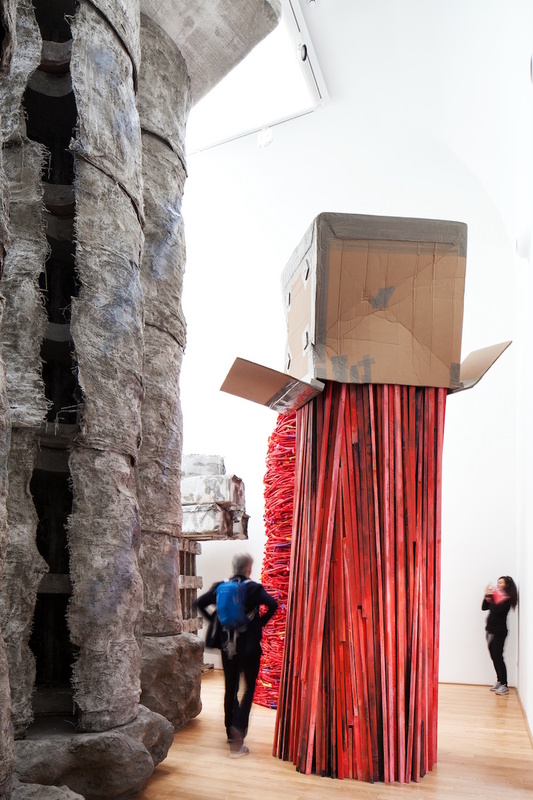 A personal highlight was Phyllida Barlow's presentation in the British Pavilion. At times vast and voluptuous, at times subtle and self-contained, but always with a healthy dose of humor and wit, Barlow’s sculptures absorb the neoclassical building entirely. Made of low-cost industrial materials, the works do not lay claim to eternal truth or value, but instead propose temporary solutions and interventions to the physical spaces we inhabit. 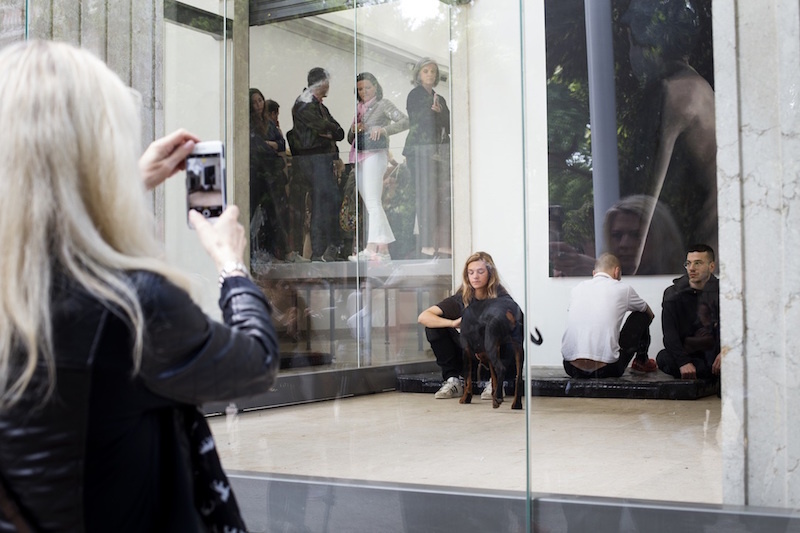 Anne Imhof has elevated the German Pavillon with a stage made from glass. Performers dressed in black inhabit a hostile setting of Doberman Pinscher dogs, wired fences and metal instruments. To the sound of loud beats, they move expressionlessly on and under the glass platform. Imhof won this year's Golden Lion for best Pavilion, perhaps deservedly: it is a strong work that is inherently touching. Yet lacking in irony or humor and demanding humble contemplation, it's all a bit too German for my taste. At Fondazione Prada, The Boat is Leaking. The Capitain Lied forms a wonderful counterpart to the busy biennale. 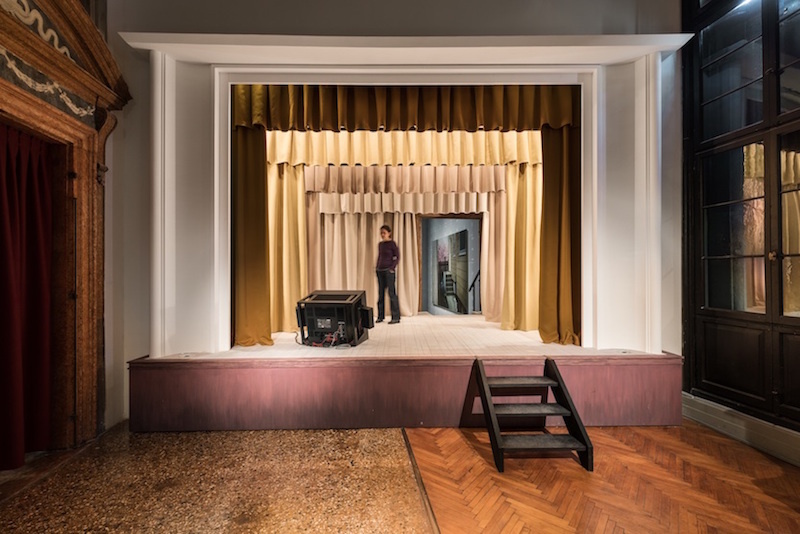 With great precision and devotion, Udo Kittelmann presents the work of filmmaker Alexander Kluge, photographer Thomas Demand and stage designer Anna Viebrock. Portraying the three artists as pathfinders and witnesses of their time, the curator does not seek to introduce their individual oeuvres so much as to re-assemble and intertwine their work, thereby creating wholly new experiences and encounters. The rooms of the Fondazione's multistory building form a collection of freely associated stories, memories, and encounters that follow no particular narrative. Interestingly, Kittelmann's exhibition does full justice to the works of Demand, Kluge and Viebrock, in spite of the strong curatorial intervention. Whereas the 57. 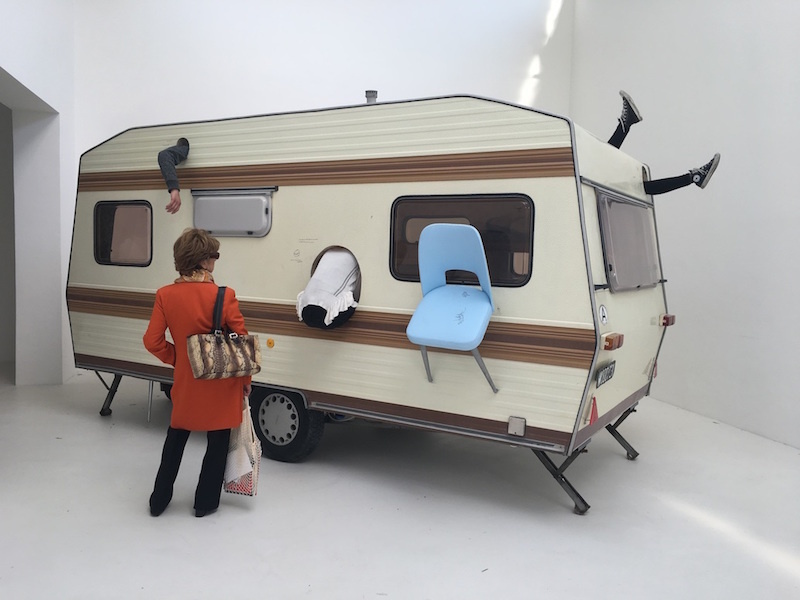 Venice biennale too often felt well-behaved and dull, The Boat is Leaking. The Capitain Lied delivers the passionate outcry for art that Macel aspires towards.